For any who feels a lack of courage in their faith, this reaffirming book offers a new way to relate Christianity to the world. Looking to grow in courage? The Christian culture that has underpinned Western society for centuries has been eroded. We're now at the point where to disagree with people on issues such as marriage and sexuality, is seen as hateful. Christians are no longer seen as honourable, but as bigots. But history testifies that the more people try to destroy Christianity, the more it grows. So we are entering an exciting period of time because we're back in the place where Christ's church can thrive - at the margins of society. In this stirring, passionate book, Matt Chandler shows us we need Christian courage like never before, and how to live with compassion and conviction, able to look around positively and reach out confidently. It encourages us not to be thwarted by fear, but to depend on God and have confidence that Christ will build his church, despite continual marginalization. A must-read for any Christian who wants to understand how to stand firm and walk forwards in an increasingly secular culture. 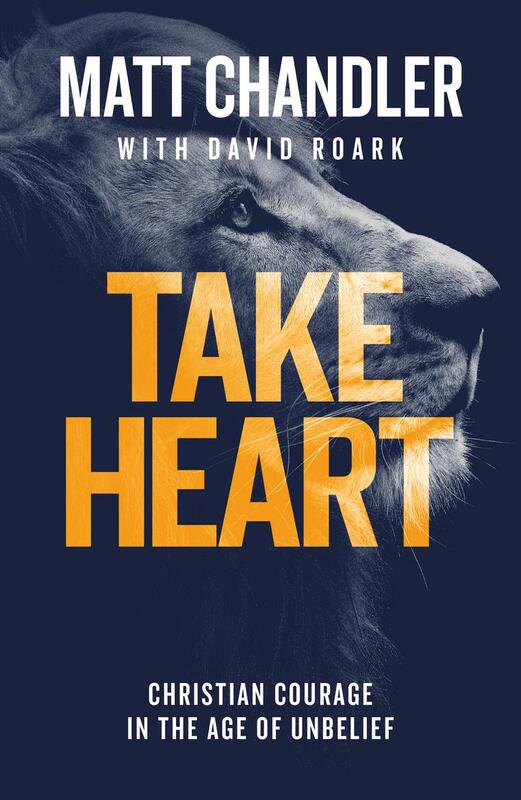 Take Heart by Matt Chandler was published by Good Book Company in March 2018 and is our 1298th best seller. The ISBN for Take Heart is 9781784983161. Be the first to review Take Heart! Got a question? No problem! Just click here to ask us about Take Heart.